Vine Trail Sport of Choice Hard to decide just one. I am happy to bike, run and walk on the trail. Why did you decide to join? I am a running/cycling small shop owner. I wanted to be a part of something bigger that gave back to our community. I have been in other towns with wonderful trails and thought Napa should have this. Runners and walkers would be thrilled to safely traverse the area! Most memorable Vine Trail moment for you so far? 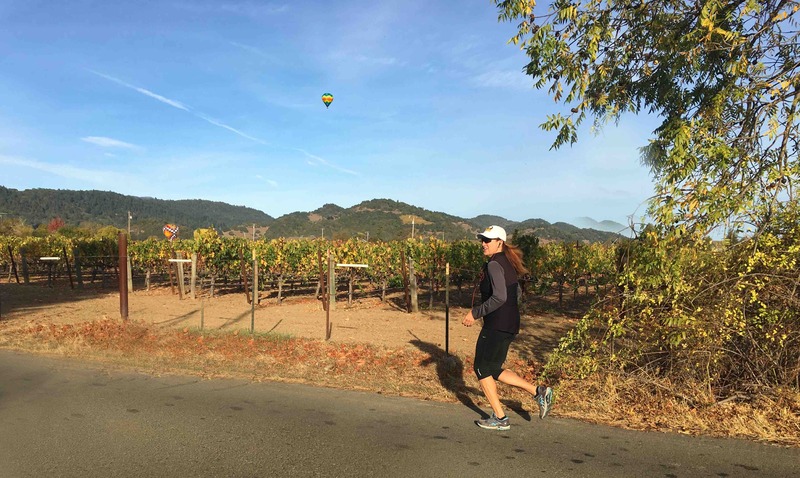 I asked my team what was their moment and here is one of my team member's story: He will not forget the first time riding to Napa with his 8-year old daughter. He was so proud of her. They rode Napa, ate at Gotts and rode back. Great memories! For me, my best memories have been seeing the diversity of people and activities on the trail. I have seen individuals cycling, families walking with their children, friends sharing stories with each other as they traverse the trail. The first race that I ever organized as a fundraiser for the Vine Trail was on the 1st mile. It makes me feel so proud to be a part of this board. What’s your Vine Trail “tip” to those who may have not been on the Vine Trail? Make a date with a friend and enjoy the wonderful outdoors on the trail. How would you like to see the community engage in the Vine Trail? It would be great to see all the activities that individuals are doing posted to social media. A walkathon or clean-up day with various small businesses sponsoring sections would be great to keep awareness of the trail progress.